Image from West Africa Cooks. It’s a universal truth that the surest way to start a war between Nigerian and Ghanaian communities in London is to ask them who makes the best jollof rice. Both claim to hold the title, fiercely defending their own brand of jollof. Ironically, neither country invented it. Jollof is the rice of the Wolof, an ethnic group from Senegal. There though, they call the dish tchep or tcheboudienne. Traditionally it's made of fried rice, scotch bonnet, onions and tomatoes. But because it's been exported to the likes of Ghana, Nigeria, Congo and Cameroon, there are many different takes. The rice is such an important matter that a competition was held last year in Brixton by the Afrikan Family Works charity. To everyone’s surprise, the winner was Victoria Spence — of Jamaican/Guyanese background — showing once again that the rivalry between Nigerians and Ghanaians may be a bit pointless. Still, in London you’re most likely to eat jollof that's Nigerian or Ghanaian. Depending on your personal taste, you may find the Ghanian better because it is more spicy, or the Nigerian one better because of the meat and plantain on the side. Brixton and Dalston’s pop-up markets are the places to go, but there are other great restaurants as well. Ghanaian jollof rice consists of basmati rice, tomato and spice. 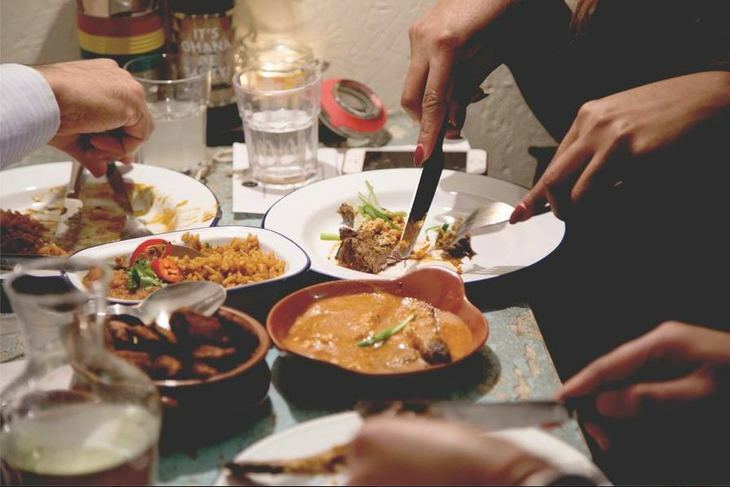 Zoe’s Ghana Kitchen is an incredibly fun place in which to devour your jollof; the calendar packed with live music and supper clubs. Safari has also won plaudits for its top-notch jollof. There are two types of Nigerian jollof: 'normal' and party — which is more copious, made with long grain rice, tomato sauce, and has onions and plantains on the side. No need to present the famous 805, one of the most popular Nigerian restaurants in London. Jollof rice starts at £11. 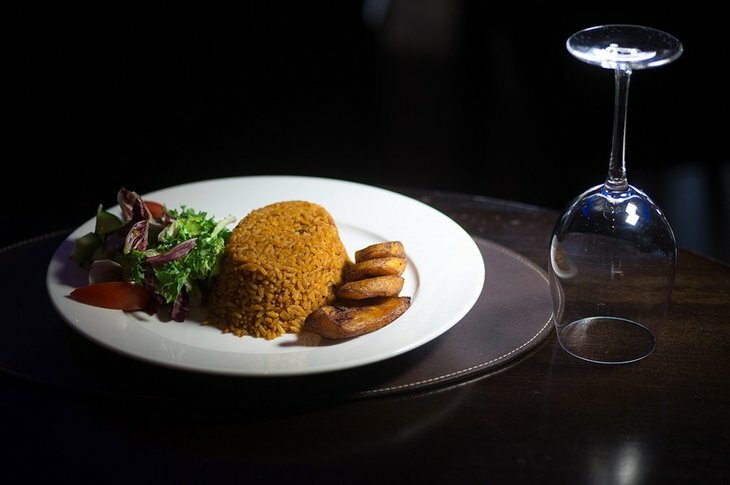 Enish is a Nigerian restaurant serving jollof rice (with plantain on the side) for less than £10. Add some fish and it goes up to £15. Tchep, or thieboudienne, is made of fried basmati rice, onions, garlic, aubergines and fish. 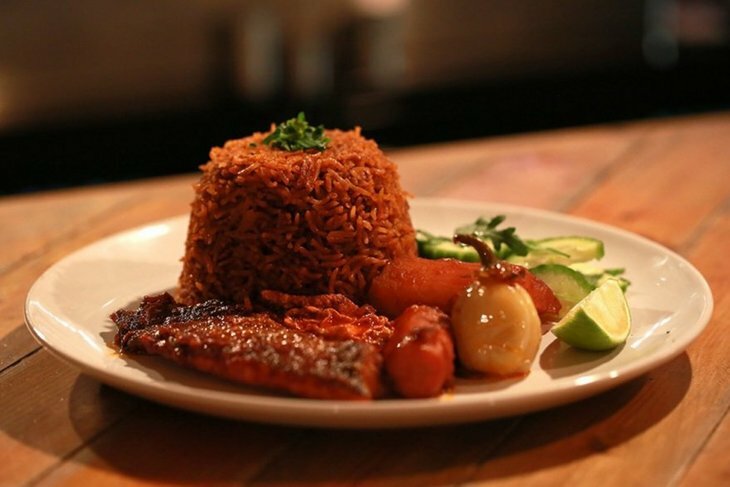 Little Baobab is a Senegalese restaurant in Clapton owned by two friends, Khadim and Abdoulaye Samb. 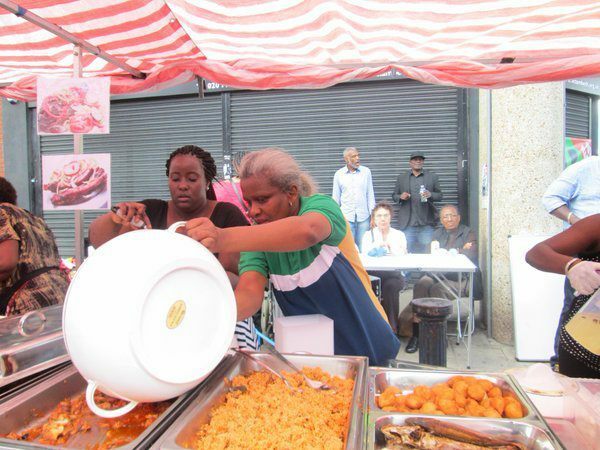 They serve a fusion of African and European food as well as traditional tchep for less than £10. Tchep is served on Fridays, but you can make a reservation to have it served any other day.